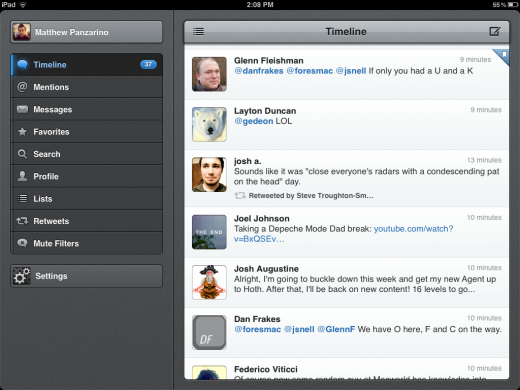 When we reviewed Tweetbot for iPad last month, we called it a ‘classic Twitter experience’. We still hold true to that opinion as it has become our go-to client on the iPad. Only one piece tot he puzzle was missing for us, and that hole has now been filled. 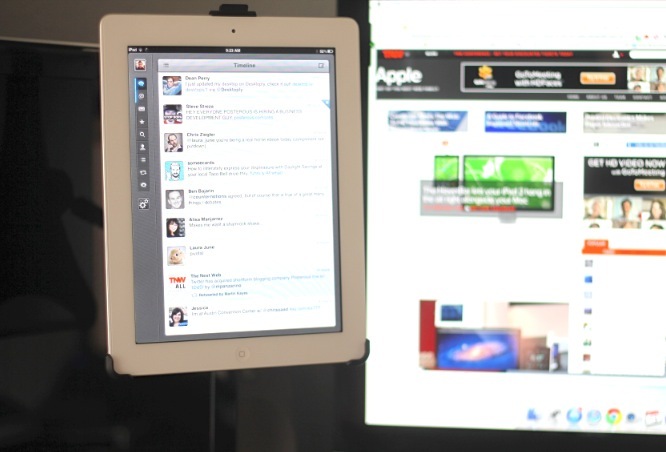 Tweetbot 2.1 for iPad now supports full streaming of your Twitter feed using the official API. It also has ‘pin to top’ functionality, much like Twitter for Mac. This means that you can set your tablet up on your preferred stand and have Twitter streamed live right on your fancy new Retina iPad come friday. You can, of course, disable streaming and the pinning functionality in settings, but I’ve been using the streaming version of Tweetbot for a few weeks now and I can’t bring myself to do so. It’s really the iOS Twitter experience that I’ve been wanting for a long time and really rounds out the feature set of Tweetbot magnificently. I’ve actually been using my iPad along with the new Twelve South Hoverbar for an extremely pleasant streaming experience. Note that the streaming capabilities of Tweetbot for iPad only work on a WiFi network. There have been some additional changes and fixes made to the new version, including full support for Apple’s new Retina display. Streaming will be coming to Tweetbot for iPhone as well, but the 2.1 update has yet to go live. For more about Tweetbot for iPad, be sure to read our review and our interview with Tapbots’ Paul Haddad here. Read next: Fox to premiere new Web series on ... Myspace?